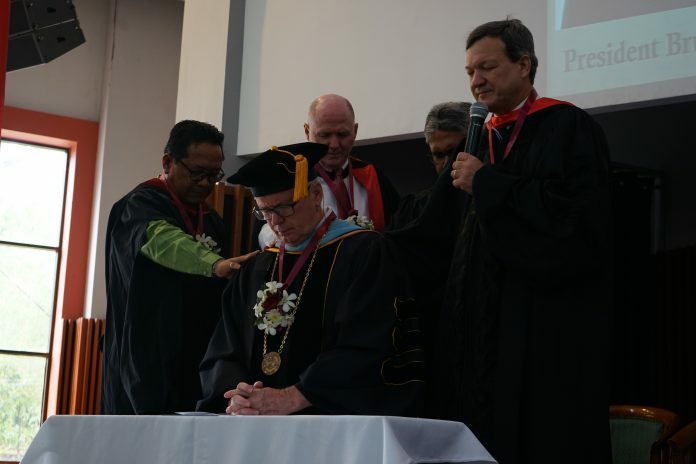 Manila, Philippines: Asia-Pacific Nazarene Theological Seminary (APNTS) celebrated an historic event on March 27, 2017, as they inaugurated their 7th president, Dr. Bruce Oldham. 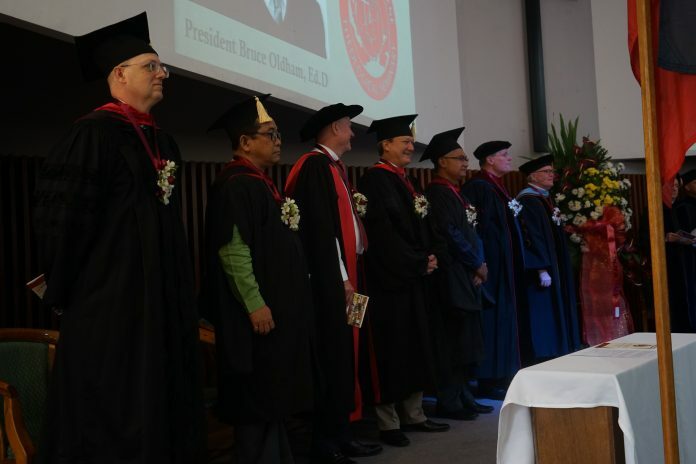 Students, faculty, staff and guests witnessed this momentous occasion. Making the event even more special was the presence of leaders who flew from various countries to witness the inauguration. 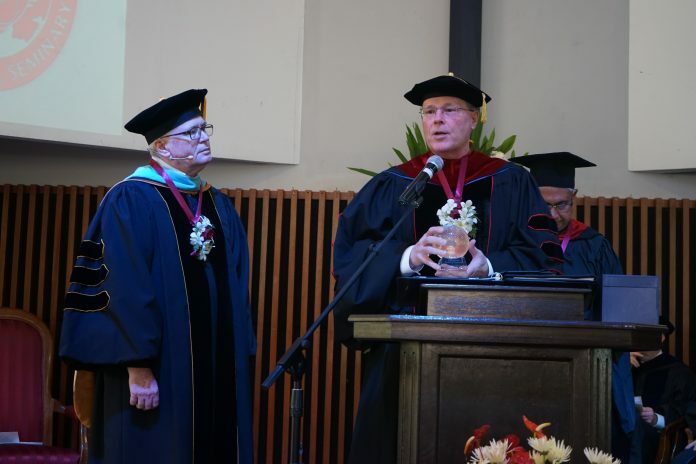 Asia-Pacific Regional Director Dr. Mark Louw, Asia-Pacific Regional Education Coordinator (REC) Dr. John Moore, Board of Trustees (BOT) Chairman Atty. 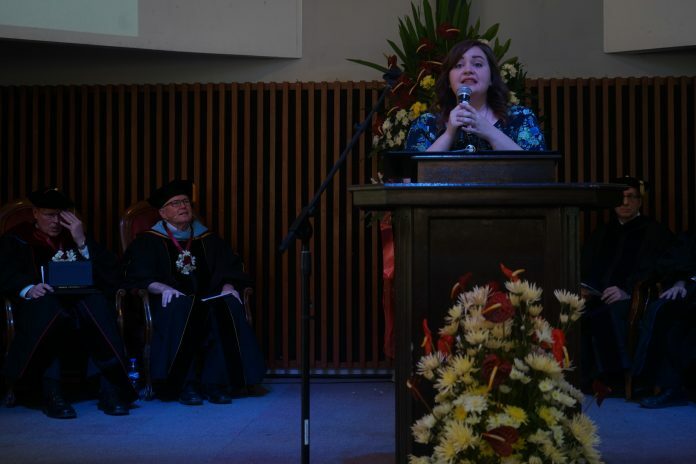 Kafoa Muaror, and the International Board of Education (IBOE) Commissioner Dr. Daniel Copp were among those who graced the event with their attendance. 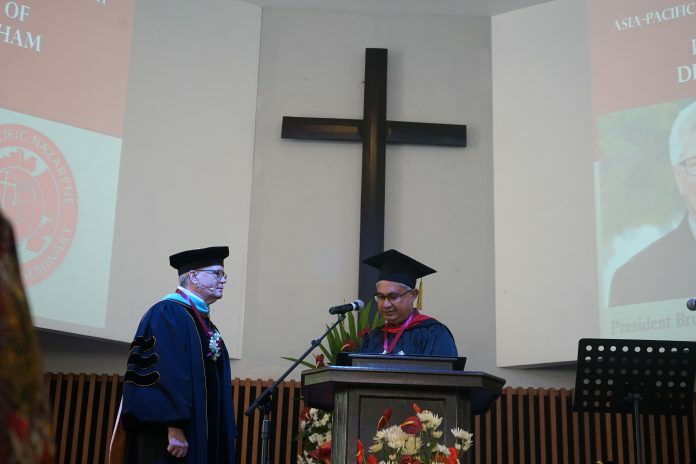 Despite not being physically present, General Superintendent Dr. David Graves and former BOT Chairman Dr. Neville Bartle were there in spirit through their encouraging video congratulatory remarks. 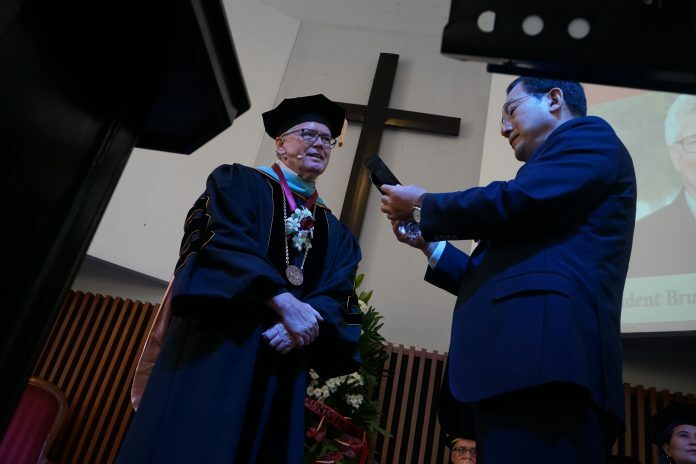 Korea District Superintendent (DS) Rev. Young Su Kim was also there and gave his special message and presented gifts to Dr. Bruce from the Korea District. 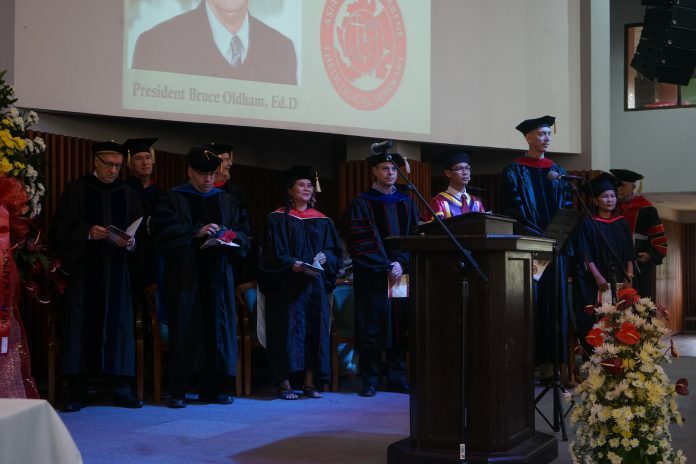 Dr. Bruce’s inauguration was also a memorable time for his family, as his children, Rev. Scott and Lyndsey came all the way from the US to show their support. Dr. Bruce Oldham was elected as President of APNTS on July 31, 2016. 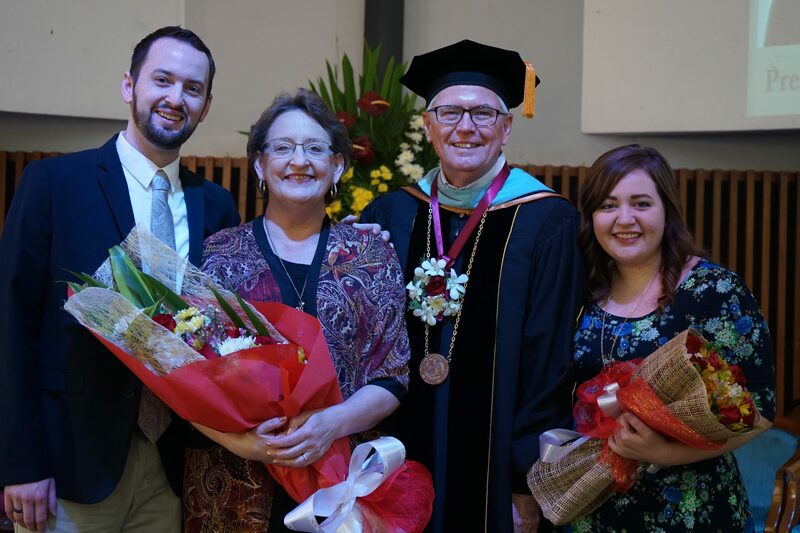 He and his wife, Dr. Peggy (now a member of the faculty) transitioned to the seminary on November 1. 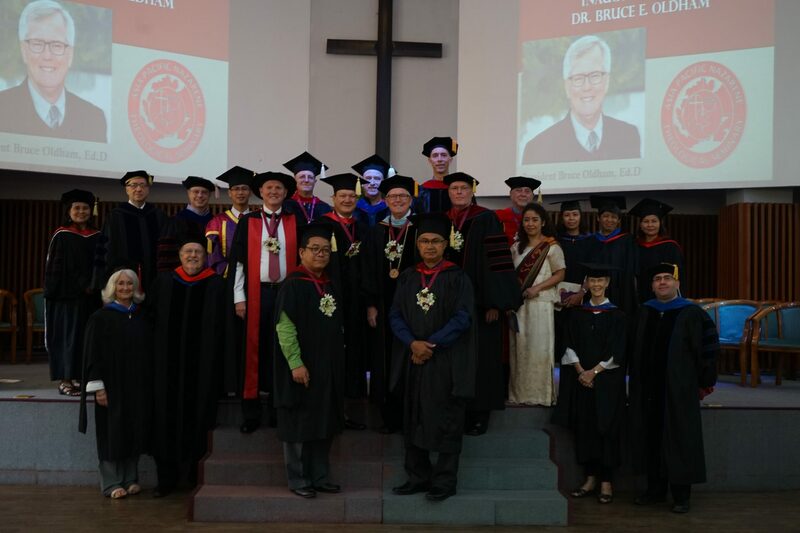 Congratulations once again to Dr. Bruce! We continue to pray for him and his wife Peggy as they lead the campus in grooming and educating future Kingdom builders of the Church!